You know you've eyeballed them at the grocery store. They hang out in the produce section right next to the bananas. From time to time, might even be mistaken for bananas, but overly sized and sometimes rotten looking (black.) The plantain is a surprisingly versatile fruit that is as much a staple in tropical cultures as potatoes are to us Americans. Starring in roles from appetizers to desserts, this close call to a banana is much more starchy, less sweet, and is cooked before consuming. A medium raw plantain provides 218 calories with no fat, and is a good source of fiber, potassium and Vitamins A, C and B6. The more ripe these fruits are the sweeter they tend to taste. Green/yellow color is the sign of an under ripeness and carry a bland flavor. Yellow and black appearances will yield a sweeter flesh more optimal for desserts. 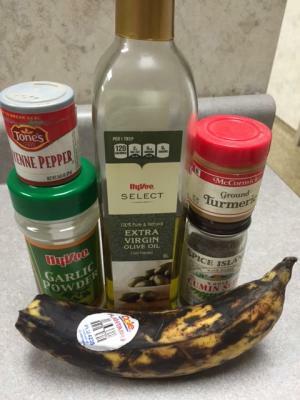 Latin, Caribbean, African, Asian and Indian are all cuisine styles that utilize plantains frequently. Dishes such as mangu (pureed plantains topped with sautéed onions,) pastelon (lasagna like dish made with plantains,) and Dodo (fried plantains paired with rice, beans or eggs) illustrate the versatility of this tropical fare. If you want to introduce some culture into your home, try using plantains in lieu of potatoes, specifically in the form of chips! 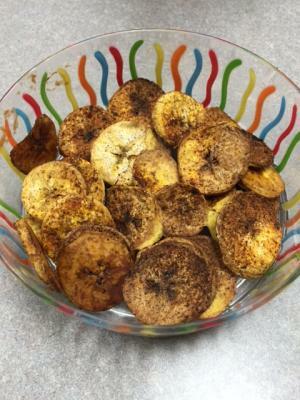 Plantain chips are becoming more popular in mainstream grocery stores, but currently are a common product in "health food markets." However, these crunchy little buggers (like most things) can be made in the comfort of your own kitchen! Place slices in a bowl, combine with 1 T olive oil, and spices. Spray baking sheet with non stick spray or cover with parchment paper. 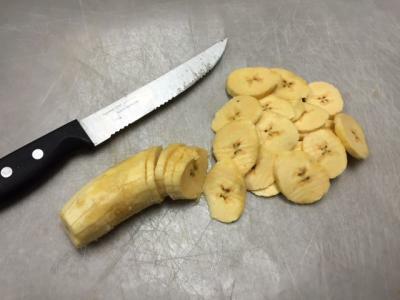 Separate plantain slices on baking sheet and place in oven. Bake 30-45 minutes, until browned and crunchy. Plantain chips can be enjoyed in place of potato chips, tortilla chips, or pretzels as vehicle for delicious dips and spreads! It's Valentines weekend…we all know what that means: Chocolate galore! And while we should partake in treating ourselves in moderation, we can tend to get carried away. I mean who really eats only ONE chocolate out of the ten pound assorted box? We should most definitely indulge in these items appropriately, but when you get the notion to have "just one more" it helps to have a "healthy alternative" to turn to, satisfying that nagging sweet tooth that turns one or two into the whole dang box! So, here is a spin on a classic Valentines cliché treat: chocolate truffles. This Recipe Rescue has slightly more ingredients and yields approximately the same number and size of servings. Dried fruit as the main ingredient in a chocolate dish makes for a surprising product most wouldn't think of as "dessert." The nutritional differences are mainly due to using only plant based ingredients, as we see a reduction in fat and cholesterol (which mainly come from animal products.) What a fabulous way to satisfy your chocolate cravings! 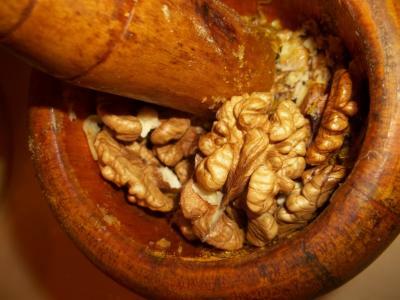 Slowly add prunes and dates to a food processor until smooth paste forms. Add the maple syrup and cocoa powder. Mix and process until well combined. With your hands form 12 one inch balls. If the paste gets too sticky, wet your fingers to help. Place them in the refrigerator or freezer for a couple hours for optimal texture. The freezer makes it more "truffle like." *get extra creative and roll truffles in tasty additions like coconut, sprinkles or chopped nuts. 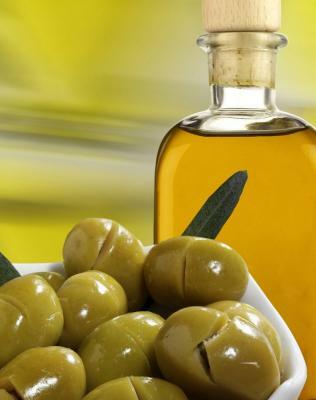 Olive oil, peanut butter and avocado are just a few foods that have gone from feared to revered over the last few years for their status as sources of "heart healthy fats." With February being heart month, I thought we should shine some light on this "hot topic" and get down to the nitty gritty on the details surrounding healthy fats. Rightly so, they should be celebrated for the benefits they provide; however, when "EVOO" (Extra Virgin Olive Oil) becomes a term in the dictionary and we are abusing it as a cooking medium, drinking it down by the ounce with our chicken breast, it loses its positive effects and becomes harmful to our health. This oil is still full of high caloric fats and over-consumption of any fat can lead to unwanted weight gain and obesity, no matter how good it may be. The key here is moderation. Anything in excess is bad for us, even if it is good. The tricky part is, while most people are aware there are "healthy fats," but most do not know there are two categories of healthy fats: Omega-3 and Omega-6. They are what we refer to as "essential fatty acids," meaning, if we don't get them from our diet, we develop deficiencies and become sick. Though they share the same name, they react differently in our bodies and for optimum health, it's essential to keep the intake of both at a balanced ratio. Today, most people are eating way too many Omega-6 fatty acids, and consumption of Omega-3 is the lowest it has ever been. 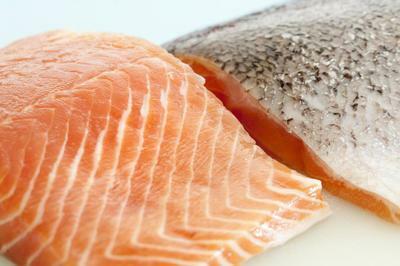 Omega-6s and Omega-3s don't have the same effects on the body. Omega-6s are pro-inflammatory, while Omega-3s have an anti-inflammatory effect. Research is showing that an excess of inflammation may be one of the leading factors of the most serious diseases Americans suffer from today, including heart disease, metabolic syndrome, diabetes, arthritis, Alzheimer's, and many types of cancers. Put simply, a diet that is high in Omega-6 but low in Omega-3 increases inflammation, while a diet that includes balanced amounts of each reduces inflammation. The problem today, is that people who eat a typical Western diet are eating way too many Omega-6s relative to Omega-3s. The recommended intake ratio of omega-6 fats to omega-3 fats is 2:1 to 4:1. This means that you should eat double the omega-6 to omega-3 fats and no more than four times the amount. Americans, however, tend to eat a ratio of 14:1 to 25:1 of omega-6 vs. omega-3 fatty acids. -adequate LA intake for healthy development is two percent of daily total calories (or about 4.4g if based on a 2,000 calorie diet). By being more mindful about the foods you eat each day, it is not difficult to attain a well-balanced omega fats profile and shift your body to a more rounded picture of health. On a snowy, blowy Midwest evening, nothing sounds better after a long day's work than a warm, hearty meal. But after a full day of working, parenting, running errands the like, most Americans struggle to put together a meal to sit down to, thus the ever thriving "to go" food industry. Low and behold an underused solution to this weeknight meal dilemma, enter: the slow cooker. Crockpots are a great way to prepare those family favorites and have them ready by the time you get home. - Dense vegetables like potatoes, carrots and other root vegetables take the longest to cook, so place them on the bottom and cut the pieces no thicker than one inch. Tender vegetables, such as tomatoes, mushrooms, zucchini and squash, which can overcook easily, should be added during the last two hours of cooking. - Foods high in fat cook quickly. Place meats on top of the vegetables. - Crockpots work the best when they are half to three-fourths full. Don't fill a pot to the brim, because it can't regulate the heating of the food correctly. If the pot is less than half full, food may overcook. - Cooking time depends on the heat setting. One hour on the high setting – 300 degrees – is equal to two hours on low – 200 degrees. - Avoid lifting the lid to check on progress. Each time you lift the crock lid, you increase the cooking time by 20 minutes! - Use a cooking bag to line the pot or coat with nonstick spray, and clean-up will be as easy as preparing a crockpot meal. Most newer crocks are removable and dishwasher safe, which also allow for easy cleaning. The best news? Slow cookers are capable of cooking dishes for all courses of the meals. That's right! These appliances aren't just for pot roasts and queso dip anymore! Hot beverages and sweet desserts can also come from the confines of a crockpot. Or in this case, a sweet side dish with Thanksgiving undertones. 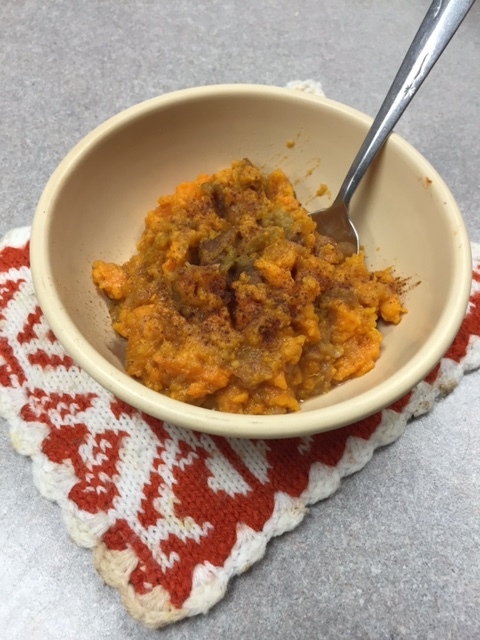 Here is a creative, flavorful side dish that warms you from the inside out! - Wash and cut potatoes into quarters. Place in slow cooker. - Similarly, wash and core apples. Cut into eights and place in slow cooker. - Cook on high 2 hours or until potatoes are fork tender. - Remove from heat and beat with hand mixer until smooth. Serve warm. So, the obvious question exists: what is bone broth, anyway? It's exactly what it sounds like: broth made by boiling poultry, beef or fish bones until they break down. They can be boiled for as little as four hours or as long as two days. It's easy enough to make at home in a soup pot or slow cooker. Also added to this can be vegetables and herbs/spices for flavor. Think of it as a homemade vegetable soup…with bone juices in it! Why so nutritious? Well, in broad nutrition terms, this food provides hydration and a serving of vegetables with no added sodium or preservatives. But why the bones are so thought to be so beneficial is because when they are boiled long enough, they start to disintegrate and release nutrients and proteins -- like calcium phosphate and collagen -- in higher quantities than what's found in regular broths, or most food, for that matter. These nutrients support bone, joint and skin health. While the reported benefits are good ones -- almost no clinical research as been conducted on bone broth, so the staying power of this "super food" may not be as strong as other health trends such as kale or quinoa. However, that doesn't hinder the consumer world from supporting this timely food trend. In fact, some restaurants have even been created to specialize in retailing this simple culinary delight. Nonetheless, it is a trend right now. And if nothing else, it certainly serves a good purpose as a warm soup on a cold, wintry night here in the Midwest. Here is a recipe from our very own University of Illinois Extension to get you started on your own batch of broth! I for one am a breakfast food fanatic! What's more, I absolutely love the smell of bacon in the morning! But what if I told you eggs and bacon aren't as simple as they once were. There are constantly new products out on the market targeting consumers as being a "healthier" alternative or a "new and improved" version of a classic. Ironically, the trend of making things seem simpler, less modified and more "natural" is what's sweeping store shelves today. Just when you thought it couldn't get simpler than bacon and eggs, enter uncured bacon and fertile eggs. Uncured bacon seems like a "healthier choice" because it doesn't contain nitrates and nitrites, which are perceived to be "bad." A 2013 article by the Academy of Nutrition and Dietetics reports that nitrates and nitrites help stabilize color and protect against food developing botulism. These compounds have been believed to be cancer causing in humans, however, emerging evidence also indicates that conversion of these same nitrites to nitric oxide in the blood has beneficial effects on cardiovascular health and the potential to lower blood pressure. On average, meats contribute 5-20% of dietary nitrate and nitrite intake- drinking water and vegetables also provide these in the diet. So unless one is consuming pounds and pounds of bacon daily, choosing an uncured version would have a minute effect on overall consumption. Fertile eggs … a new trend popular amongst the "raw" diet enthusiasts, with the idea that fertile eggs are more nutritious than infertile eggs.What's a fertile egg, you ask? These eggs contain both male and female genetic material, beginning the first stage of embryonic development, but does not develop any further. Commercial egg farms rarely house roosters and hens together, so nearly all eggs found in grocery stores are infertile. Currently, there is no actual detectable chemical difference between fertile and infertile eggs nor is there any scientific evidence that one is nutritionally superior to the other (Food and Nutrition Magazine Jan/Feb 2015). But, it is possible that fertile eggs spoil sooner than infertile- so, all in all, not worth the extra money they might cost for a shorter shelf life! So when perusing the super markets or flipping through the latest issue of your preferred health/fitness publication, if you see these products highlighted, now you can say you know the facts! New Years' resolutions ---lose 20 pounds by spring break, run a marathon this summer, bench press 200 pounds by your birthday---how's that working for you? Each year we set ourselves up for failure. How many times have you put yourself on a "diet" only to fall off the wagon a few days later? I know in my lifetime I have gained and lost many pounds by doing just that. Starving myself, eating only cabbage soup, sitting in a sauna with a sweatsuit on----and I did lose weight, at first. There are many different and credible diet programs available, which are nutritionally legitimate, and even work. However, you have to stay with the program. But how many of us can stay on a regimented series of prescribed food choices and recipes? We lead busy lives, we are in a hurry---we do not have time to DIET. Mark Sturgell, www.pdncoach.com, suggests that instead of a "die-it" we go on a "live-it". Have you ever thought about the word diet? Why would we want to commit ourselves to something that has the word die in it? We want to live—and live well. Let that be our resolution and our theme for the year. How can we "live-it" this day, this week, this month? Try to do one thing each day to make your life better. Make an extra trip up the stairs, park in the very last spot in the parking lot, use whole wheat bread to make your sandwich, fill half your plate with fruits and vegetables at supper- you know what to do--just pick one and start today.. Do not overwhelm yourself and sabotage your good intent. So pick one thing to do today, see it through to tomorrow, and let it stick for the rest of this week. Stick it out for three weeks, as they say it takes 21 days to make a habit! Eventually it will become second nature and a part of your lifestyle. Small changes can lead to big success. Do one good thing and be proud of yourself and that one good thing will turn into two and three and then before you know it you will be well on your way to a life of good health! Sustainable lifestyle change will keep you on the right path of health-so allowing for some of the foods we love to eat, in a modified healthier version is a helpful approach. Our own U of I Extension "Recipe Rescue" blog entries will help with this. After all, we aren't really living life we we aren't enjoying yummy food! Check out some of our made over recipes to help you turn over your new health minded leaf in 2015!